Last year Organic Surge launched an "Extra Care" range for timeless skin solutions that are designed to rejuvenate, condition and protect. One of these products is the Replenishing Facial Oil, which is designed to hydrate parched skin with a blend of essential oils including Argan, Yarrow, Safflower, Sunflower and Lavender. I use facial oil every night, either alone or mixed into a moisturiser, as although my skin leans towards oily, I find that it can easily become dry or dehydrated. 100% of the ingredients in this facial oil are natural and 55% are organic, are suitable for vegetarians and vegans and the packaging is recyclable. The bottle is 30ml and priced at £23.50. I apply around 3-4 drops of the Organic Surge Replenishing Facial Oil after serum, or as much as I feel my skin needs. The oil dispenses with a pipette; most have a squeezy topper, which releases the oil, but with this one you simply push down - so much easier and it never gets stuck either! 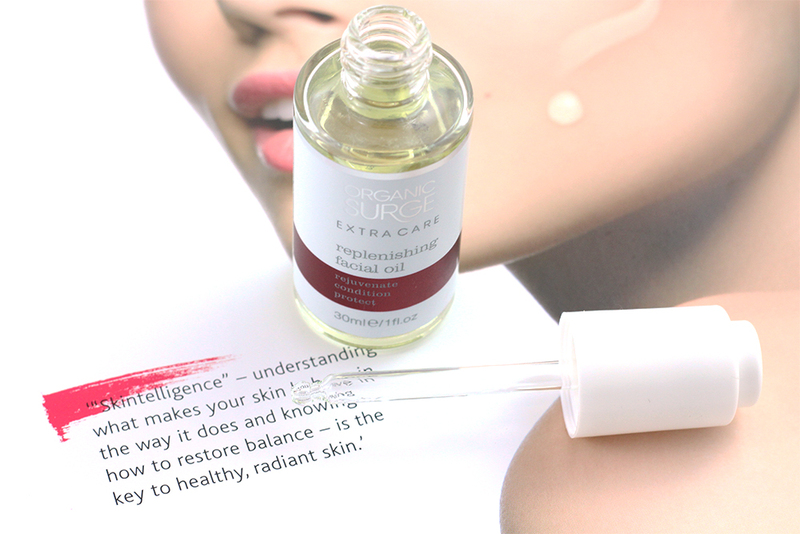 The facial oil itself is clear in colour and has a thin consistency, making it feel weightless. The Replenishing Facial Oil is soft and silky on the skin, absorbing quickly, with a uplifting, natural scent. I don't think this is the most intensive facial oil I've tried, but it certainly gives my skin a nourishing boost and soothes and calms any areas of redness or inflammation. 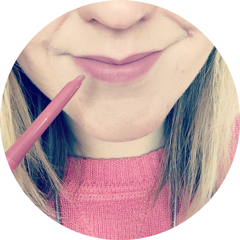 I personally think the formula will make it perfect to use in the warmer months because it's so lightweight. The Replenishing Facial Oil is another great product from Organic Surge and is a brilliant price considering it's jam packed full of natural ingredients. You can find out more on the Organic Surge website here. Have you tried any products from Organic Surge's Extra Care range? What's your favourite facial oil? Looking nice ! What is the main ingredient of this oil? merci! I love Origins, but this is one item of theirs I've not got round to trying. Think that needs to change pronto! I'd love to try Organic Surge! I've been hearing a lot about this brand.